Christmas is just around the corner, and lots of us are hunting for the perfect gift for our significant other, child, sibling, mom or dad! Do you ever baffled when tracking down the perfect surprise for your loved one? I know I do! I wondered if different personality types were impressed by different types of gifts, so I decided to ask around. I checked with friends and family, people on personality forums, facebook groups, and more to determine what each personality type really wants and why! For an INFJ, the important thing is the meaning behind the gift. It doesn’t matter so much what the gift is as the thought that went into it. 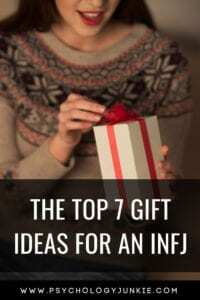 Many INFJs said they felt uncomfortable or bad when they received gifts. Some mentioned feeling guilty, some were embarrassed, and others felt awkward. Overall, many preferred the joy of giving rather than receiving. However, a gift with a symbolic meaning or a personal touch could completely make their day. 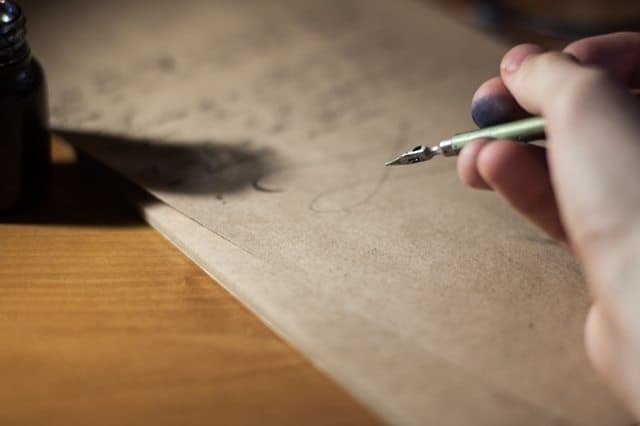 By far, the gift that INFJs raved the most about was a hand-written letter. Being able to read someone’s heartfelt thoughts, dreams, wishes – this is what meant the most to them. On the flipside, giving a greeting card with nothing but a signature was a major no-no for INFJs! INFJs are usually major bookworms! We love to read (yep, I’m an INFJ myself, so I can attest to this). Introverted Intuitives love being able to escape into a rich, imaginative story. What kind of books? That was harder to narrow down. INFJs have a wide variety of interests; I read somewhere that INFJs prefer non-fiction while INFPs prefer fiction, but from my own experience I haven’t seen this to be true. We do seem to have a penchant for philosophical books, meaningful novels, fantasy/sci-fi, and books related to self-help or psychology. 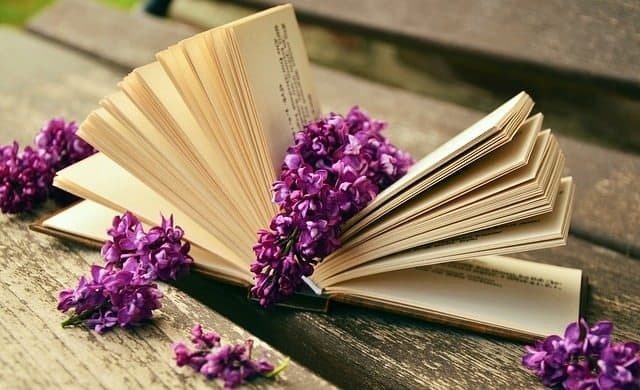 Chances are, if you know an INFJ very well, you’ll know what kind of books they enjoy. Not sure what kind of book your INFJ would enjoy? Gift them with a Kindle unlimited or Audible subscription! 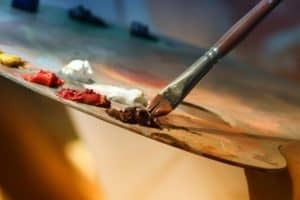 A huge number of INFJs said they would rather receive an experience than a material gift. Being able to share a meaningful moment with a loved one meant much more than a gift card or an object of any kind. 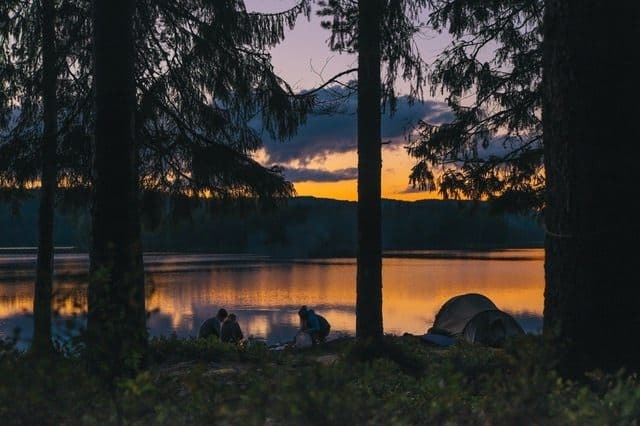 Experiences INFJs mentioned included vacations, camping trips, dinner and a movie, kayaking, stargazing, or even a board game to play together! This gift was mentioned predominantly by INFJ mom’s and dad’s who spent a lot of time juggling family members and work or household responsibilities. INFJs need alone time more than many other personality types, due to the nature of their dominant function. 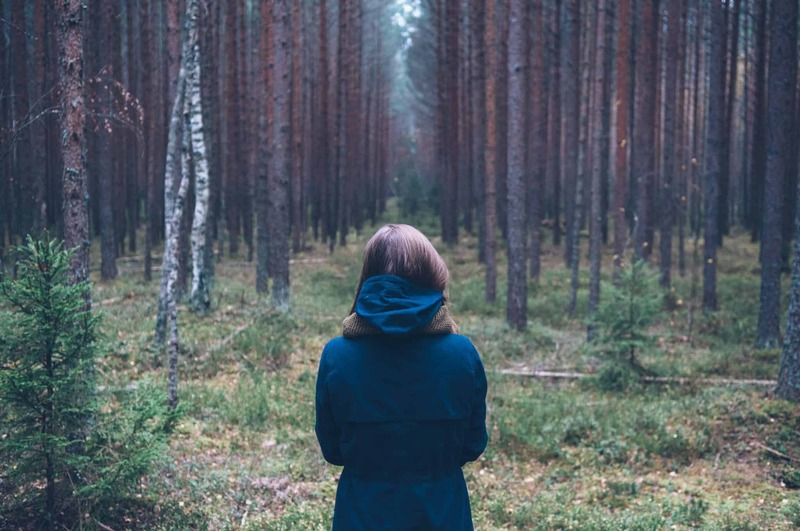 Ni-dominant personality types (INFJs and INTJs) are easily overstimulated by outside interruptions and noises, so being able to have some time alone is especially important to them. Being alone also allows the INFJ to better access their dominant function, Introverted Intuition. There’s something magical and meaningful about receiving something that a loved one really put their heart into and spent time putting together. Hand-made gifts always made an impact with INFJs. Many INFJs are able to express their thoughts and feelings in a deeper way through journaling. Because INFJs use Extraverted Feeling (Fe), instead of Introverted Feeling (Fi) they are often more aware of other people’s feelings than their own. This can cause them to feel stifled and overwhelmed when they experience strong emotions, whether good or bad. They are naturally built to understand emotions outside themselves, not inside themselves. 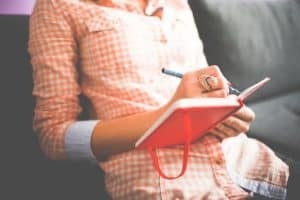 One amazing way for INFJs to understand their own emotions and feelings better is to write them down in a journal and read them back to themselves. This allows them to feed their emotions back through Extraverted Feeling and get a better perspective. Paints, art kits, photography supplies, and scrapbooking materials were all mentioned. 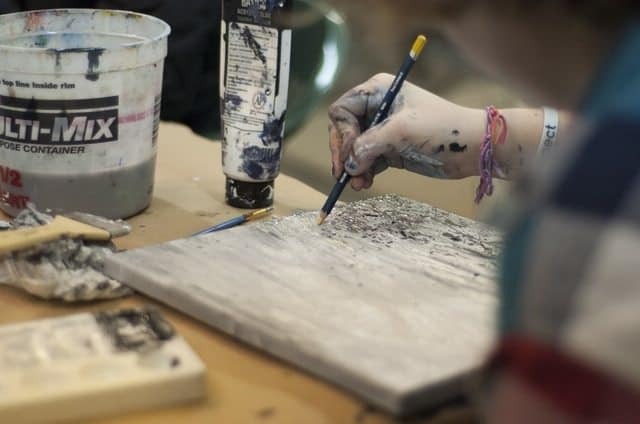 INFJs love to try out a new creative hobby as it gets them in touch with their rich imaginations as well as their Extraverted Sensing function. Do you agree with these gift ideas? Do you have any suggestions? Let me know in the comments! I’d love to hear from you! True! I also like something old with a story. Were its from, who it used to belong to, in witch time it was used en why en why they picked this for me. Wow, this list is good. Someone close has an infj personality, and while I already realised some of this, it really clarified it and why. Thankyou! Meaningful gift, letter, and handcraft are way to go. Though if you are a parent, anything that he want to receive would be the best. I’m an INFJ and an experience is the first one for me. I also love journals and different coloured pens🙈. I have often struggled with understanding why I prefer giving gifts so much and I now understand.